Through December 29th, hop on over to Target where you can save an extra 30% off Ultimate Ear WonderBoom Bluetooth Speaker with this new Cartwheel offer! 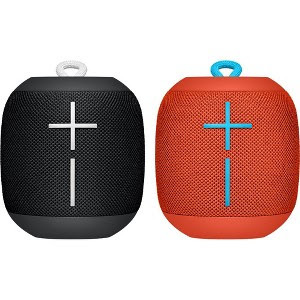 Even sweeter, the Ultimate Ear WonderBoom Bluetooth Speaker is on sale for $59.99 (Retail $99.99). Pair this sale with the Cartwheel offer for a great deal. The sale price will be reflected once you add the speaker to your cart. This Bluetooth Speaker floats, is waterproof, has 360-degree sound and a 10-hour battery life! It would make a great gift for a teen or college kid on your list.